Sunday Anani, the suspected killer of late Chairman of Credit Switch Technology Limited, Chief Ope Bademosi, is not dead. 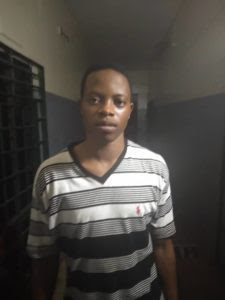 The spokesperson for the Nigerian Prisons Service, Lagos Command, Rotimi Oladokun, while responding to enquiries, said the suspect was alive. “I have confirmed that he is in the prison and he is doing fine. There is nothing wrong with him,” Oladokun told The Punch on phone yesterday. Anani allegedly killed Badamosi a few days after arriving in his house at Parkview Estate, Ikoyi. Upon his arrest in Ondo State, where he allegedly fled to after the incident, he was charged with one count of murder before an Igbosere Magistrate’s Court. The case, which came up on November 12, 2018, was adjourned till December 18 pending legal advice from the Directorate of Public Prosecutions. The Chief Magistrate, Mrs O.O. Oshin ordered that the suspect be remanded in prison pending legal advice.